(April 1, 2015)- Shortly after midnight, Cape Coral Police responded to 139 Nicholas Parkway E. in reference to a shooting into a home. A witness told police that a male known to them as Tevin Nelson was standing in the driveway in front of the garage at this residence and that they saw Nelson take a black shirt, wrap the shirt around his face and walk towards the side of the house. The witness then stated that they saw Nelson point the gun in the direction of a bedroom window and fire off one round, but Nelson's gun appeared to jam. Nelson then ran on foot towards the 7-Eleven convenience store at the intersection of Santa Barbara Boulevard and Nicholas Parkway E. and was picked up by a silver car which went south on SW Santa Barbara Place. Officers located the suspect vehicle on SW Santa Barbara Place and conducted a high-risk traffic stop, removing and detaining four subjects inside the car. The front passenger was identified as Tevin Nelson B/M, DOB: 6-4-1994, of 3417 SW 1st Pl., Cape Coral, FL. On the floorboard of the front passenger seat was a partially visible firearm wrapped in a black cloth. A show-up was completed at the scene of the traffic stop and Nelson was positively identified by a witness. Investigation revealed that Nelson came to the residence looking for a missing cell phone, after tracking it to that location using GPS software. Nelson knew the resident and had been to the home on previous occasions. When his attempt to retrieve his cell phone failed, Nelson decided to go home and change into dark clothing, get a gun, and come back to the residence. There, Nelson fired one round at the resident's bedroom window when the gun malfunctioned. He then fled the scene and was picked up by friends at the 7-11 nearby. Forensics personnel responded to the scene and processed both scenes for evidence. Based on the fact that Nelson stated post-Miranda that he consciously and intentionally shot a firearm into an occupied dwelling; probable cause was established for violation of F.S.S 790.19, Shooting Into an Occupied Dwelling. In addition, based on the fact that the weapon Nelson indicated was his, was readily accessible at his feet, inside the vehicle and was concealed from the ordinary sight of another person by the black piece of clothing; probable cause was established for violation of F.S.S 790.01, Carrying a Concealed Firearm. Nelson was transported to Cape Coral Police Department for processing then later to Lee County Jail. 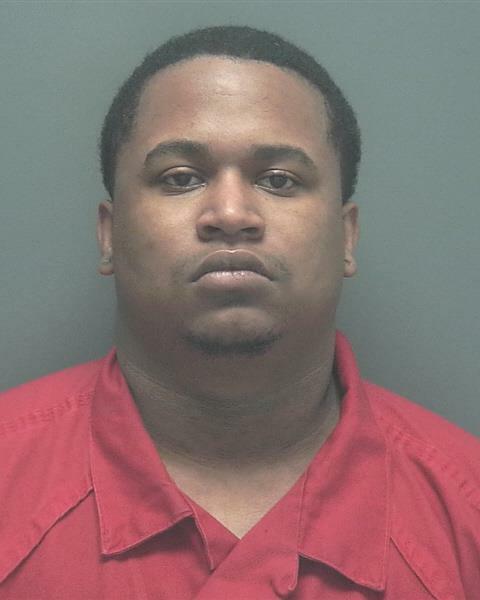 ARRESTED: Tevin Nelson B/M, DOB: 6-4-1994, of 3417 SW 1st Pl., Cape Coral, FL. CHARGES: Carrying a Concealed Firearm and Shooting into an Occupied Dwelling.